What is Dealspotr about? Many people on the Internet are looking for deals, whether it’s a discount to their favorite pet shop or discounts to a product that they always use. These are the people that Dealspotr is targeting. As a coupon based online program, Dealspotr is promoted as the easiest and fastest way of finding deals on the Internet. It also serves as a social network like Facebook, where consumers can connect with each other and share deals and products they find on the Internet. Dealspotr offers a wide range of coupons to its members. If you sign up with Dealspotr, expect to find coupons that offer as low as 5 percent off to 60 percent off. If you’re lucky, you can even find coupons that give you as much as 80 percent off on products or services. Dealspotr has a lot of coupons for popular brands or stores like Walmart, Target, Starbucks, and Best Buy. Aside from posting deals, members can earn points on Dealspotr. These are the so-called Karma points which can be accumulated by posting deals or sharing information about ongoing sales. Members can also get karma points by commenting to clarify coupons/deals, and even connecting with friends. These points are saved, and would enable members to move through various tier levels. The rewards for these points are paid in e-gift cards. The idea behind karma points is simple— it would serve as an incentive to members of Dealspotr to continue posting deals and making the online community bigger with each passing day. Finding deals on Dealspotr is easy. There’s a drop down menu where members can search for coupons. Aside from coupons, members can look deals, sales links, free shipping, and rebates in the said website section. This makes it a lot easier and convenient for members to find deals on Dealspotr. Bloggers can also join Dealspotr as an Influencer. But now everyone can qualify as an Influencer. Dealspotr has its criteria for traffic and engagement in determining influencers. You must also have a website and social channels to be able to qualify as an influencer. There are three levels of being an Influencer on Dealspotr—bronze, silver, and gold. To be able to reach bronze status, you simply have to register with Dealspotr and confirm your email. You’ll get a 5,000 point bonus, a $5 access code for your followers, and inclusion in the Influencer directory. To reach silver status, you will have to place a Dealspotr badge on your website and have your site validated. To reach gold status, you will have to complete your profile by posting five deals on Dealspotr. You should also promote Dealspotr on your website by posting an informative article. The article will also have to be reviewed and approved by Dealspotr. As a gold member you are entitled to a 25,000 point bonus and you can even redeem your points for cash thru PayPal. Dealspotr is for people who want to save by getting the best deals on the Internet. It is also for bloggers with a substantial number of followers and traffic who want to earn some extra cash. You can access Dealspotr’s Help and FAQ page if you want to get started. There’s also a Blog section where you can get lots of information about the site. There’s very limited support in Dealspotr. Member can only message Dealspotr on Facebook if they encounter any problems. Pro #2— Members can make some cash while helping others to save. Pro #3— It is relatively easy to understand. However, there are several drawbacks of signing up with Dealspotr. Con #1— It mostly caters to national deals. Most of the coupons available are retailers or brands that are known nationally. You can’t find local deals on Dealspotr. Con #2— There’s very minimal support offered to members. Con #3— It can’t earn you a lot of money. If you’re a blogger, then Dealspotr won’t really be your top source of income. Dealspotr is a relatively new company so you can understand most of its shortcomings, like the lack of local deals and the minimal support offered to its members. Still, it is a fun site to sign up with especially if you’re a budget-conscious individual who wants to get the best deals in town. The fact that it is also easy to post deals and earn points makes it even more enticing for many people on the Internet. But if you’re a blogger who wants to maximize your website’s earnings online, Dealspotr shouldn’t be on the top of the list of sites or programs that you would tap. Yes, it can give you some gift cards but those won’t be enough to pay the bills, so to speak. If you’re looking for a program that can maximize your earnings online, then you should Read this instead. 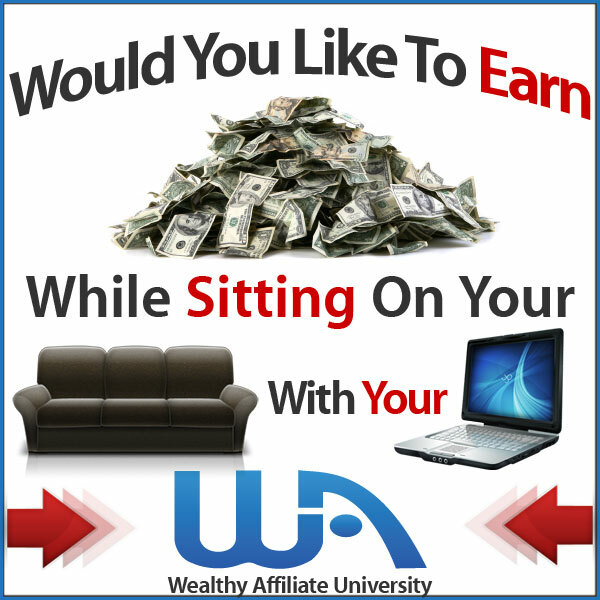 The Wealthy Affiliate has been in the business for more than a decade. It has helped countless of individuals to earn a lot of money online. What’s even more intriguing with the Wealthy Affiliate is that you can start your own online business even if you don’t have any knowledge on affiliate marketing. Wealthy Affiliate offers complete tools and a hosting suite so you can build your own niche website. Your website will cater to a specific audience, and it will promote various products and services. You can earn from those ads, especially when your visitors purchase the said products promoted on your website. Don’t take my words. Look at what below one of the member said instead. So If you are still looking for the best deal and wanted to save your hard-earned money. I highly recommend you consider a program that earns my rating at 10 out of 10 which I’m using and applies it. You can test drive the Wealthy Affiliate, so to speak, without shelling out a dollar. These are the good features that make the Wealthy Affiliate highly recommended to any individual looking to earn online. As well as build your Online Business. SO are ready to venture in Internet-Business? If yes, then Join Me. Feel free to leave your comment below and I’m happy to hear from it. Thanks for all your information on dealspotr. I personally had never heard of it until reading your article, is it for the U.S only? Im in Australia you see so not sure if I can sign up? Also what kind of money would we be looking at say as a silver member? Good Day Neil, Thanks for leaving your reading this. Yes, Dealspotr is quite new as just started in late 2015 but have already save shoppers $15 million up to date (As for this writing). Quite a massive saving for shoppers. To answer your question, Dealspotr is basically support everyone from all the nation. So no worries. It’s support everywhere. As Silver member its really depends on how your effort. The advantage that once you received “verified inlfuence” for Silver entitilement that you are able to earn 20% commision rate and $2 upfront.So it’s really a good deals if compared to bronze. I’ll remark two words on Wealthy Affiliate – ‘Unbelievably Awesome!’. I know it since 2014 and never had complaints till now. That being said, about Dealspotr, firstly, I appreciate your personal thoughts on it. I never heard of it, so, I should thank you for letting me know what is it about. After reading through, I think once it is established internationally, viable everywhere, from America and across Asia, with the assistance of international multi national firms like Starbucks, local will get help much goes to the countries who are willing to cooperate with Dealspotr by boosting their local franchise/companies. No Problem my friend. I wish you all the best in your online journey.